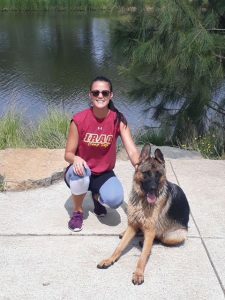 Rebecca is our newest graduate having recently completed her Masters in Physiotherapy at Sydney University in 2017. Prior to this, Rebecca lived in America for 3 years where she received a sporting scholarship from Quinnipiac University in Connecticut. She graduated from Quinnipiac University in 2013 with a Bachelor of Health Science with a focus in Athletic Training. Rebecca’s interest in Physiotherapy grew from her football playing experience at the national and international level. Having joined Canberra United in their inaugural season at the age of 17, Rebecca has since gone on to represent Australia on the international stage at multiple levels before moving to America. Rebecca has brought her passion for football across with her to Physiotherapy where she has worked with several local football clubs. Though her career has only just begun, Rebecca shows interest in sports-related injury prevention and hopes to continue her education in this area.